I grew up saying the scout oath at the start of our weekly Boy Scout meetings in Bayville, New York. 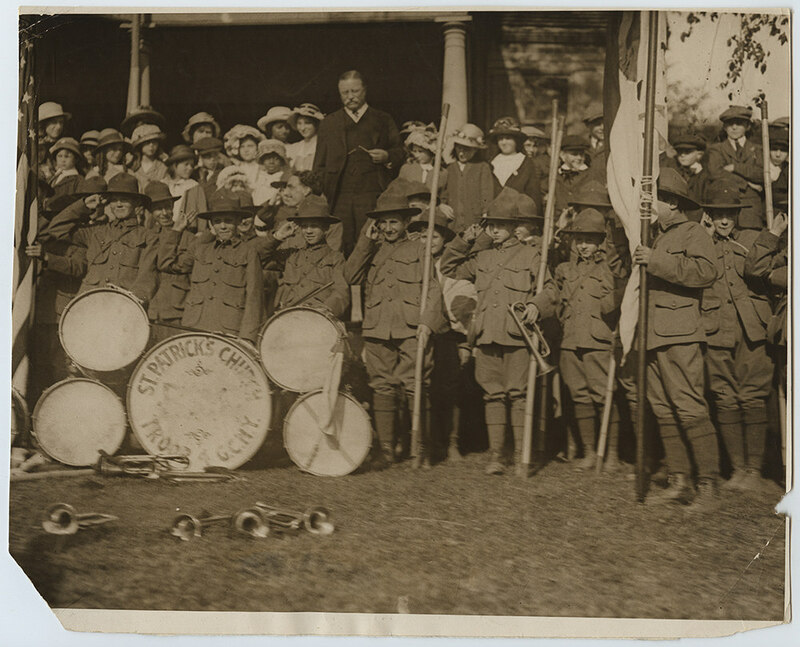 Our troop was (and is) part of the Theodore Roosevelt Council in the Town of Oyster Bay. Perhaps the repetition of the scout oath, and time spent with scouts and leaders contemplating duty and honor contributed to my call to a life of service as a priest, now serving as Dean of Long Island&apos;s Cathedral of the Incarnation. As Dean, I am also the Sponsor and Charter Holder of Troop 55 of this Council. Duty to God and Country are not things I take lightly. Growing up in the Town of Oyster Bay, the legacy of President Theodore Roosevelt loomed large. Many scouts with whom I grew up could quote President Roosevelt on a variety of topics and some of us still do. "The President is merely the most important among a large number of public servants. He should be supported or opposed exactly to the degree which is warranted by his good conduct or bad conduct, his efficiency or inefficiency in rendering loyal, able, and disinterested service to the Nation as a whole. Therefore it is absolutely necessary that there should be full liberty to tell the truth about his acts, and this means that it is exactly necessary to blame him when he does wrong as to praise him when he does right. Any other attitude in an American citizen is both base and servile. To announce that there must be no criticism of the President, or that we are to stand by the President, right or wrong, is not only unpatriotic and servile, but is morally treasonable to the American public. Nothing but the truth should be spoken about him or any one else. But it is even more important to tell the truth, pleasant or unpleasant, about him than about any one else." Kansas City Star - May 7, 1918. As a Boy Scout, I learned much about service, friendship, generosity and kindness from leaders and fellow scouts. President Trump&apos;s remarks yesterday were selfish, unkind, and completely lacking in integrity. His remarks were not in keeping, at all, with the principles and values of scouting as I understand them. I can&apos;t imagine you disagree. The Boy Scouts of America, and in particular the Theodore Roosevelt Council, should quickly and unequivocally repudiate the president&apos;s disrespectful remarks. No scout has sworn an oath to Donald Trump. But we have sworn an oath to God and Country. That oath requires that we speak up when the president fails us. I hope this is what we are teaching scouts today. "Almighty and everliving God, who hast vouchsafed to regenerate these thy servants by Water and the Holy Ghost, and hast given unto them forgiveness of all their sins; Strengthen them, we beseech thee, O Lord, with the Holy Ghost, the Comforter, and daily increase in them thy manifold gifts of grace: the spirit of wisdom and under-standing, the spirit of counsel and ghostly strength, the spirit of knowledge and true godliness; and fill them, O Lord, with the spirit of thy holy fear, now and for ever. Amen." Leaders invited to stand before our young people should still be expected to speak in this way; to provide strength, to inspire wisdom, understanding, counsel, knowledge and godliness. Not to foment division and factionalism. Quentin Roosevelt, of course, was killed in aerial combat in the skies over France on Bastille Day the same year this prayer was uttered for him and his fellow servicemen. He understood duty to God and Country. What sort of godly national or community service would be inspired by what our scouts heard from President Trump yesterday? The words we say to our young people are very important. Prayers and presidential remarks have a way of proving efficacious in the lives of those who hear them. I pray that those who heard or read the president&apos;s remarks will disregard them as far beneath our dignity as one Nation under God. I pray that you will do all in your power to uphold the traditions of duty and service at the core of scouting, especially in this Council. I pray that all of us will take the responsibility of speaking before young people seriously and treat it as a sacred trust and responsibility. Perhaps President Roosevelt put it more succinctly than I ever could when he addressed the Holy Name Society in Oyster Bay in 1903, "It is no use to preach to children if you do not act decently yourself." I call upon you, gentlemen, to act decently. For the sake of our scouts, join me in unequivocally repudiating the comments made by President Trump during the July 24th Jamboree. As leaders of the Theodore Roosevelt Council, to do anything less would be - to quote our namesake, "base and servile."